Malcolm Turnbull’s latest scandal, exposing connection to a $12 million share in a scam run by an outfit called the United States Studies Centre, shouldn’t be a shock to anyone. The cash went into the hands of his wife and son in law James Brown. More important still is that the Murdoch family, through Rupert’s nephew, Matt Handbury, were also involved in the action. This is yet one more piece of the jigsaw that illustrates the close relationship between the media tycoon and the Turnbull government. The United States Centre is a foreign policy think tank, owned by the Turnbull and Murdoch families. It is based at Sydney University, and operates with the American Australian Association, and aims to extend influence across Australian universities. We would have been none the wiser, were it not for an article published by the Financial Review (23 July 2018), which has brought the affair into public view. Generosity of this sort is carefully kept away from public view. There is no transparency and the usual tendering processes are bypassed. It’s not the first time this has happened though. Back in 2007, $11 million were handed over to Australian Rain Corporation, then headed by Matt Handbury. Then Foxtel got $30 million. There is a pattern here. If anyone ever doubted that Turnbull is a Murdoch creature, this should lay that to rest. Back to the think tank. “The grant is an example of how politically connected organisations are often effective at lobbying governments for funding. This is going to chip away more of Malcolm Turnbull’s credibility, at a time of increasing public questioning about the connections between leading politicians and big business, and a perception that corruption is beginning to spiral out of control. When the prime minister gets caught with his own hands in the till, whether directly or indirectly, it doesn’t exactly lift the standing of Australia’s politicians and political institutions. And the longer he remains in office, the more tarnished they get. For those who can see a little further than the personality, it throws up the question of what changes can be made in Australia to stamp out this sort of practice. Unless this can be done, the faces can change, but business will go on as usual. The other matter is the noxious influence of Murdoch and his empire. It turns up everywhere and begs for something to be done about it, and until this is sorted out, Australia will continue to suffer from it. 20 Comments on "Turnbull corruption and Murdoch"
Get them ALL OUT,and put a watchdog on the next lot. He should be shot as a traitor ! Hey, would love to see some sources and evidence before I share this article, can they please be included? Thank you. That’s evidents good enough and that sources out from USA 🇺🇸 What more do you want bloody oath. Malcolm Turnbull has shot himself in the foot many times and is still there. Arent we supposed to be the watching dog? Someone above comment wants a source. Surely Financial Review is a good start now follow the money and the connections it shouldn’t be hard. In my mind it has Turnbull/Murdock fingerprints all over it.. we need Federal ICAC. Turnbull, his family and his government should be charged and convicted of treason. Love your work, this story being an excellent example. But can you please get your SSL certificate sorted? Unencrypted connections are not a good idea in this day and age. Turnbull hands ou another $12M to buddies. INNOVATION – creative imagination directed at conceiving obscure, but reasonable sounding fees, undetectable methods of extracting those said fees from dead clients and providing no service for the same. NEGOTIATION – exceptional gall to demand obscene remuneration packages, slashing jobs and reducing services. INTERPERSONAL SKILLS – pulling the wool over the eyes of regulators, promising their agents and servants generous future job opportunities and persuading the same to look the other way when indulging in criminal behaviour. “Power tends to corrupt and absolute power corrupts absolutely” first Baron Acton (1834-1902) What a very sad state of affairs where in. Who gets a guernsey in the letters column at the Australian? Climate change deniers, coal lovers and advocates, and selfish neocons. The same old tiresome names keep propping up, John Bell Heidelberg, Babbette Francis Toorak, John Kidd, Henry Herzog, John Bidstrupt Plymton Park, Leo Vilensky Castle Cove, John George Terrigal, Peter D. Surkitt Sandringham, Jim Ball Narrabeen. 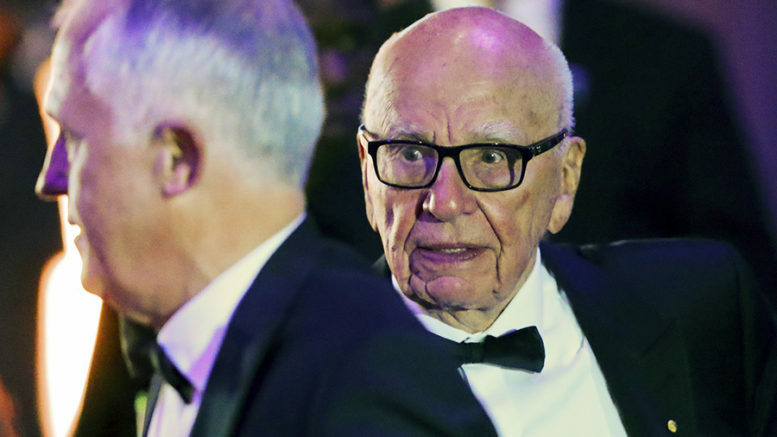 The Octogenarian Dinosaur is determined to ensure economic feudalism becomes entrenched in Australia. Fat chance!